— Masayuki Kojima’s name is one that’s been featured prominently on this site, albeit on a completely different series this season. If you’ve been following Kevin’s coverage of Made in Abyss. then you’ll know that he’s proven to be more than capable as both series director and as the storyboard artist for most episodes. 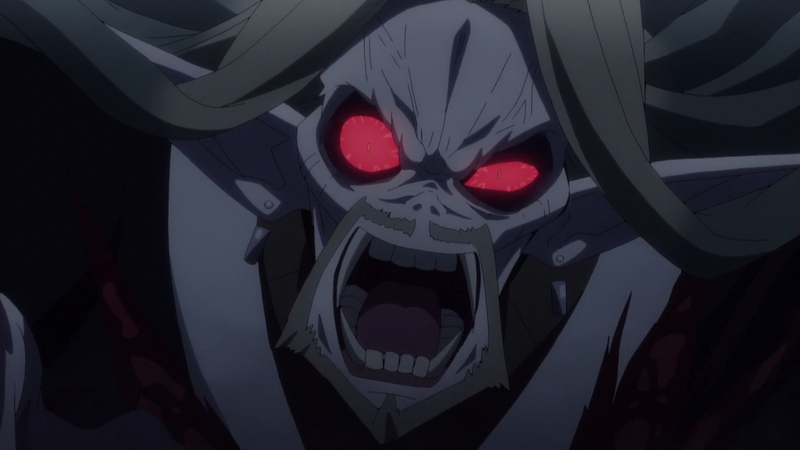 The fact that he’s been able to show up on Apocrypha despite the obvious workload reinforces the idea that Made in Abyss was a very healthy production, which wasn’t so much speculation as proven fact at this point. At the same time, it’s another unfortunate nail in Apocrypha‘s figurative, beaten up coffin; while Kojima’s other work wrapped up fast, it couldn’t have been early enough to give him lots of time to do his best here. 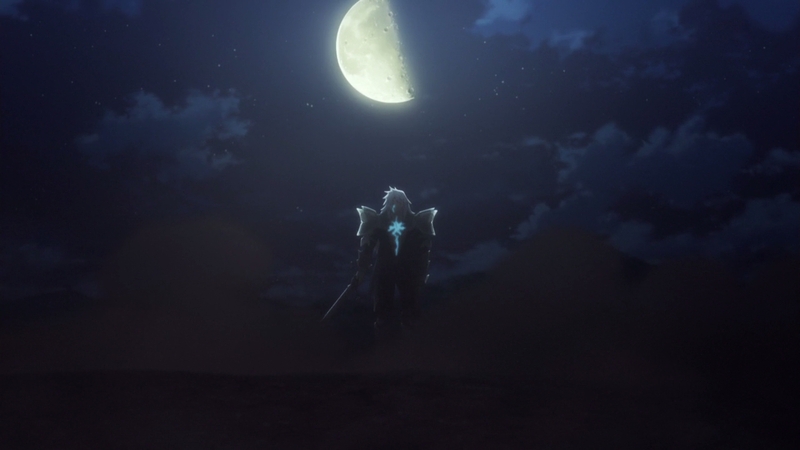 A-1’s continuous reliance on creators from all over the industry to handle important elements in their productions has led to some fantastic work, but Apocrypha is the living (or dying) example of the effects of that attitude when the situation is tight. Kojima’s case is somewhat similar to Tatsuya Yoshihara’s: both have come onto this project with more than enough work on their plate at the time, but the key difference here is that Yoshihara was repaying a favour to close friends, and even then limited himself to assisting with key animation only. Meanwhile, Kojima had to handle a full episode, though thankfully he was able to relegate the direction to someone else. — The worrying signs become clearer when we take a look at his actual output on this episode, which…doesn’t quite compare to the quality he’s been delivering on a consistent basis for Made in Abyss. Rushing to meet hectic schedules is always going to lead to an impact in the quality of the work. Fortunately there’s still a number of moments worth mentioning though, because great work from a skilled person generally becomes simply good when it takes that hit. 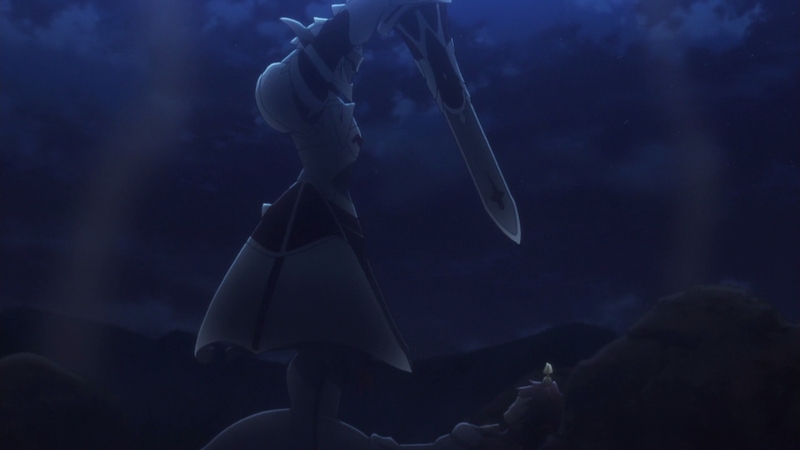 Mordred dealing the (supposedly) final blow to Fran and the revelation of Sieg taking the form of his namesake stand out, but if I had to name one in particular, it would be Caules using his command seal for Fran’s last ditch attack. It’s a neat showcase of the backlash from the combined use of his final command seal and channeling all his magic circuits into it, made even more effective through by in the imagery of the blood he’s spilled to the petals falling from the flowers that have become synonymous with Fran herself. Perhaps a bit heavy handed for some, but a thoughtful send off for her nevertheless. RIP Fran, at least you have a good dad over in FGO. — On a less depressing note, I let out an audible laugh at Shishigo practically saying “I have no idea wtf is going on but hey, it’s the Great Grail War. Anything goes.” Probably the best mindset you can have in a ridiculous setting like this! — Is it worth discussing anything other than Spartacus the legendary masochist releasing his load after taking a severe beating from the ladies amongst the Servants? Yes, actually! Quite a lot went down in this episode, but it’s clear that the priority lay with Vlad and Karna this time around. We’d been given little morsels of this clash over the weeks, so now it’s finally time for the whole biscuit…or not, because it gets called off just as it’s really about to kick off. Still plenty to see, though! — The melee combat and Karna’s brisk evasion of Vlad’s stakes is an exciting sequence in its own right, but there’s no doubt that Karna breaking free from the stakes after being caught is what had most people talking. Yukina Kosaka – who I’d like to believe is the real life equivalent of the Rolling Girls character they’re naming themselves after – is a mysterious entity who first turned up on Shun Enokido’s episode of Flip Flappers before promptly vanishing, but it’s clear they have ties to the webgen crew by nature of where they’ve appeared so far. I’m no Sakulock Holmes though, so let’s put their identity aside for now and focus on their work; flashy on the surface, but an example of someone with a style that’s concise and easy to identify even with less than a handful of confirmed cuts. FX work is the centerpiece, where webgen school flat shapes are abundant, but clever shading gives certain parts volume. 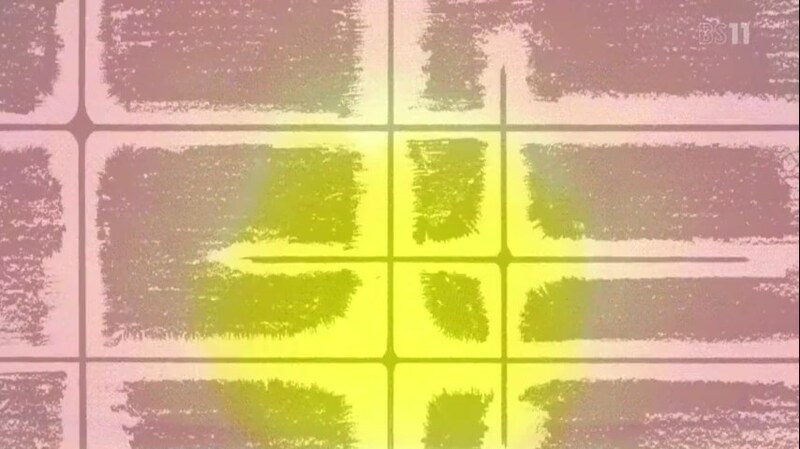 Impact frames are scattered around it rather liberally, but if you pay close attention, you’ll notice that cross shapes are a recurring feature in them. I’m more inclined to believe this a more experienced industry member working under an alias as opposed to a promising new talent, but I’m not too concerned about what the truth is when they’ve done such a good job of portraying how utterly broken Karna is. People were genuinely convinced this was his Noble Phantasm as opposed to a simple mana burst! — Karna’s become a good venue for digital artists to showcase their skill. Korean animators Moa Ang and Myoun are no strangers to this site by this point, and they seem to be something of a package deal based on how they continue to turn up on episodes together. 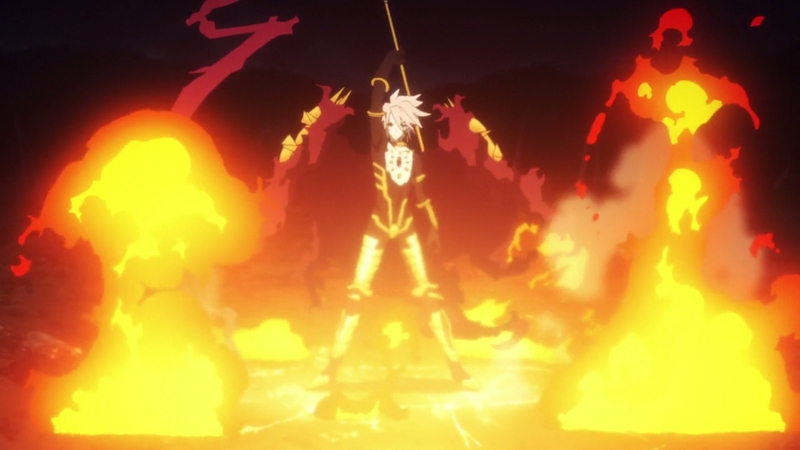 Myoun in particular takes advantage of Karna’s characteristic flames to show off their own FX work, though my favourite part is how they melt away at Vlad’s stakes upon impact with them. — Little stands out in this episode more than the results of Darnic forcefully activating Vlad’s Legend of Dracula. The previous episode gave us insight into Vlad’s view on these legends and how they tarnished his name, despising them to the point that his one desire for the Grail is to have them erased from history all together. Here we see those legends take form, the results so grotesque that it’s easy to understand why he was adamant in never using this Noble Phantasm in the first place. The Fate series is known for taking certain liberties when it comes to historic figures, but it’s nice seeing some focus on how history can twist the image of these figures following their passing. I actually felt pretty sorry for Vlad here, if I’m being honest! 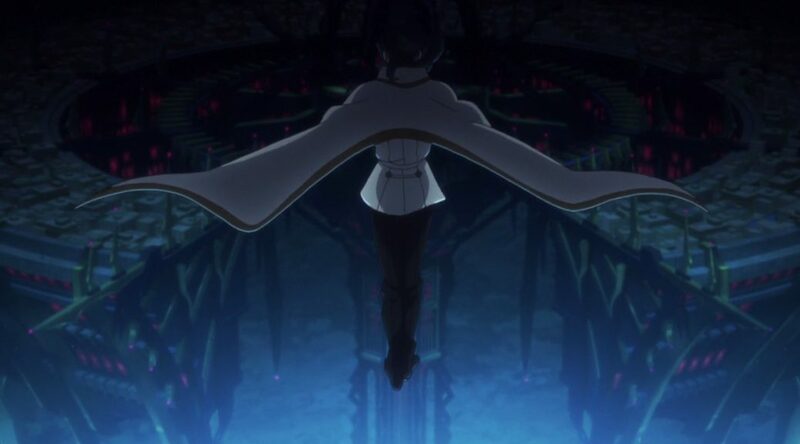 — Scheduling issues may have prevented this show from reaching its full potential, but the fact that the staff still find the time to maintain cohesive animation vocabularies for each Servant speaks highly of the artists involved. 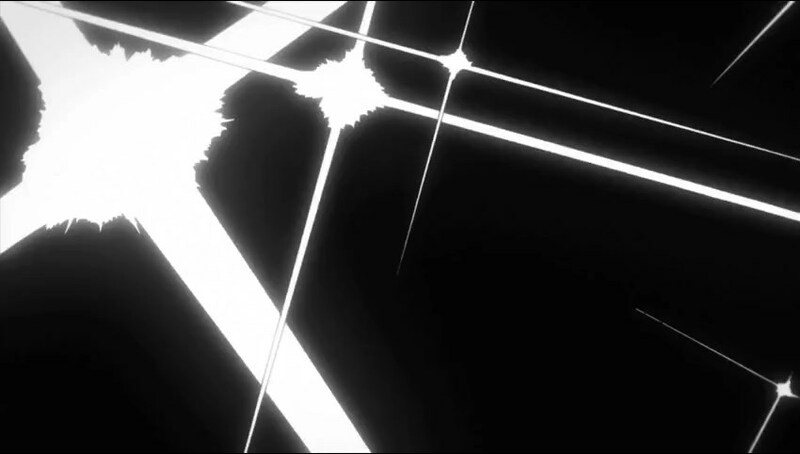 While Achilles is less about the flash and more about the overwhelming strength and having god mode permanently switched on, we’ve been treated to his bursts of raw speed a number of times throughout the show thus far. And those take a different form than Mordred’s agility; in her case the focus is more on instant movement only traceable by the lightning that accompanies it, while in Achilles’ case he uses breakneck force to propel himself along, said force always leavings its mark on his surroundings. This acts as a nice contrast with his theoretical partner Atalanta, who sacrifices pure speed for more nimbleness on the battlefield while maintaining the dexterity required from the Archer class in the first place. 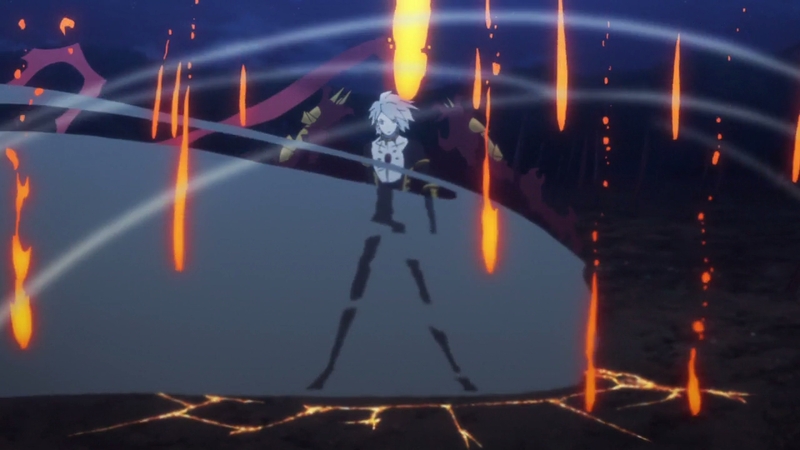 And as always, Karna’s flames catch our eyes yet again because he really just is that broken. I brought their identity up again during the episode 20 post and deemed that the research I’d done gave convincing results but ones that I refuse to deem as canon regardless. Rolling Girls-chan is real and no one can take that away from me.